DR. JAMES POPEJOY is Director of Bands at the University of North Dakota, where he conducts the Wind Ensemble and University Band, and instructs courses in graduate and undergraduate conducting, instrumental literature, and jazz techniques. He holds a Bachelor of Music Education degree from Central Missouri State University; the Master of Arts degree in Conducting from the University of Iowa; and earned the Doctor of Musical Arts degree in Conducting from the University of North Texas. Selected as the “Outstanding Graduate Student in Conducting” from among the more than 1500 music majors at UNT, he has also been chosen for membership in the national honor organizations of Pi Kappa Lambda, Kappa Delta Pi, and Phi Beta Mu. Dr. Popejoy served as Director of Bands and Percussion Studies at McLennan Community College in Texas for five years; was a public school music educator in Missouri for nine years; and has founded and conducted numerous adult and student community ensembles. He remains active as a classical and jazz percussionist, clinician, and conductor. 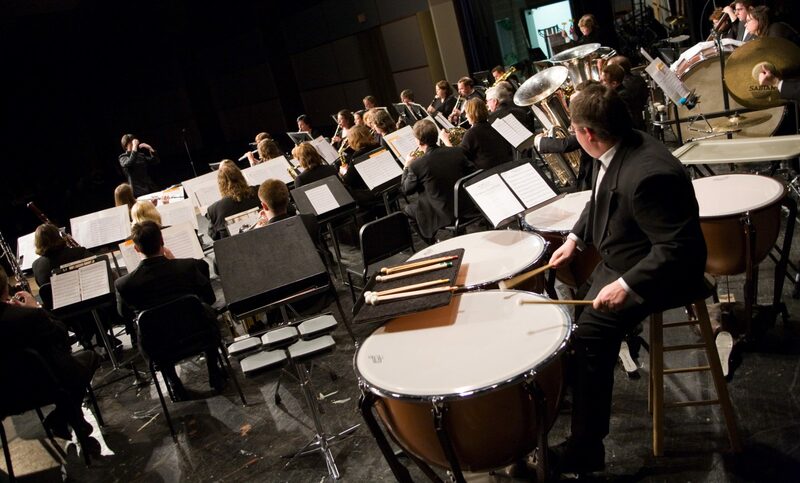 Dr. Popejoy and The Wind Ensemble joined Midwest Winds for a mid-November concert, during its second concert season in 2003.